As we’ve steamed through May towards the winter months, some of our regular winter visitors have started to make appearances early on the calendar. 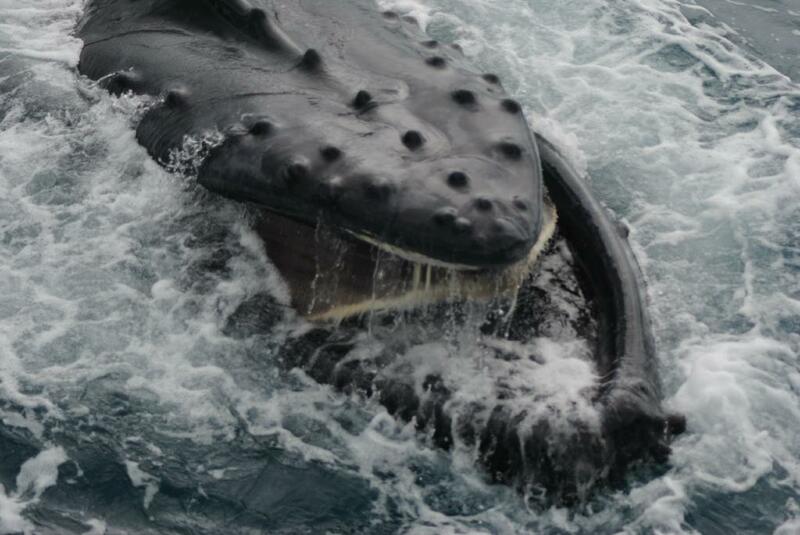 A week or so ago, the first Humpback Whales (Megaptera novaengliae) of the season were spotted heading past Stradbroke Island and, a day later, were seen from atop Indian Head – a rocky promontory on Fraser Island’s eastern beach. These whales make this annual epic journey north to the breeding grounds in the Whitsundays before heading back home – with a little holiday and socialising in the calm waters between Hervey Bay and Fraser Island. These early sightings bode well not only whale spotting from the shore for tour guests on our regular Beauty Spots Tours ex Kingfisher Bay Resort, but also for a bumper Whale Watching season when it officially gets underway in August. Read all about Jessica Jane Sammut’s Whale Watching experience and check out the early bird special for eager whale watchers. As we head towards winter we also start to see subtle changes in the way our resident Dingoes (Canis lupus dingo) behave on the island. Unlike domestic dogs, Dingoes give birth once a year and as we head into the winter months, dingo mums are searching out food and protecting their young with help from the rest of the pack. As with all new mums, Dingoes can be over protective of their young, so we’ve included some good tips on how to be Dingo Safe in the Great Sandy National Park for anyone that’s headed our way. DID YOU KNOW Fraser Island’s dingo population is the purest strain of the dingo species on the eastern Australian seaboard and perhaps Australia-wide? Closer to home, guests on our regular Ranger-guided night walks spotted one of Fraser Island’s more elusive natives when some unusual squeaking on a night walk revealed a small Grassland Melomy (Melomys burtoni) going about its business in the bushes. 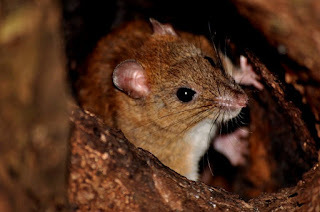 Melomys are ground-dwelling mammals that look like your typical mouse with soft, reddish-brown to grey fur; a body no bigger than 10cm and a tail length that is equal to that of their body. As with Bandicoots, Melomys are omnivorous and their diet consists of plant stems, seeds, insects and fruit and the easiest way to locate them – as we found out – is to listen for their munching or high-pitched squeaks as they scurry around in search of dinner. Here on Fraser Island owls, goannas and Dingoes are common predators, as are snakes. The Carpet Python (Moriala spilota), is one of Fraser Island’s non-venomous snakes and is fairly docile and generally nocturnal - we’ve been lucky enough to spot this species on our night walks of late. Carpet Pythons can vary in colour and markings, grow up to four metres long and have a superb sense of smell. Their fork-shaped tongue enables them to smell which direction their cold-blooded or ectothermic prey is in. Additionally, they have heat sensing pits on their lower jaw, which helps them to track down warm blooded prey, such as our Melomys at night. Their marvellous muscle structure also enables them to climb trees and feed on any small birds or eggs. 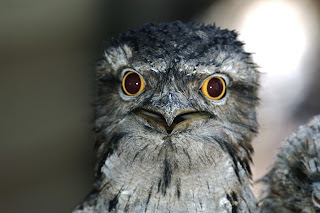 One of our most frequently sighted island tree dwellers - the Tawny Frogmouth (Podargus strigoides) – is closely related to the Nightjar family, but is often mistaken for an owl; however there is a difference. Generally, an owl has much stronger feet which it uses to catch prey and will hide away in dense vegetation during the day and feed on smaller birds at night whilst Tawny Frogmouths have weaker feet and use their beak to catch prey and are content to sleep in any tree during the day as they are camouflaged so well... in fact, our Resort Rangers have found that it takes some guests quite a long time to spot these birds in the trees on our walks. At night, Frogmouths feed on spiders, insects, frogs, rodents and are super stealthy when they hunt. Although they are intelligent birds, they do not have the best road sense, so please do look out for birds flying across or landing on the roads at night time – not just at Kingfisher Bay Resort, but also when you’re back on the mainland. Well this month has been about all creatures great and small on Fraser Island and we look forward to seeing what the next month brings.